This article has been originally published on Medium. Like most people in the tech industry, I have used Slack in my work on many occasions. But while I always thought that the UX was intuitive on desktop, I felt the iPhone version could be improved. I decided to analyze in detail what could be revised and to propose a redesign concept. Once I understood the issues I wanted to fix on the Slack UX, I started to do low-fidelity mockups. Once the low-fidelity mockups were finished, I started working with Sketch. 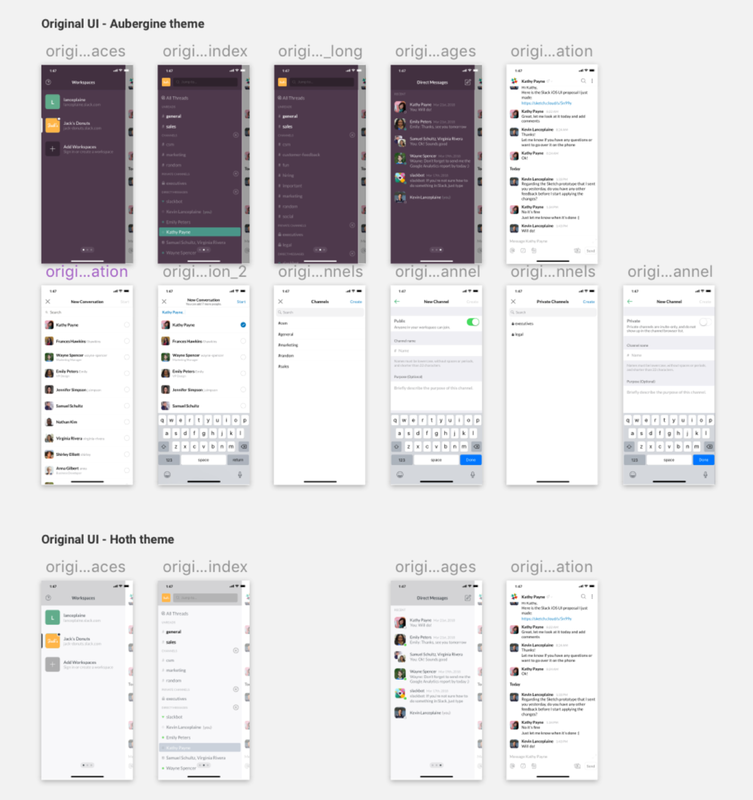 But before I even started sketching the redesign concept, I wanted to reproduce the current Slack iPhone UI. It allowed me to better understand the design of their iOS application and ensure that my proposal would respect Slack’s design. Once the original UI was reproduced in Sketch, I started my redesign concept. I made sure to use the prototyping feature of Sketch 49 as you can see below. You can also download the file and try it for yourself. I also uploaded the prototype on Sketch Cloud if you want to preview it directly from your browser. I used GitHub (with Git LFS) in order to manage the different iterations of the project. You can download the Sketch file on sketchappsources.com.